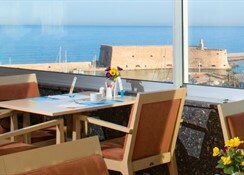 Situated in the centre of Heraklion, 3.5 km from the International Airport and 4 km from Knossos. 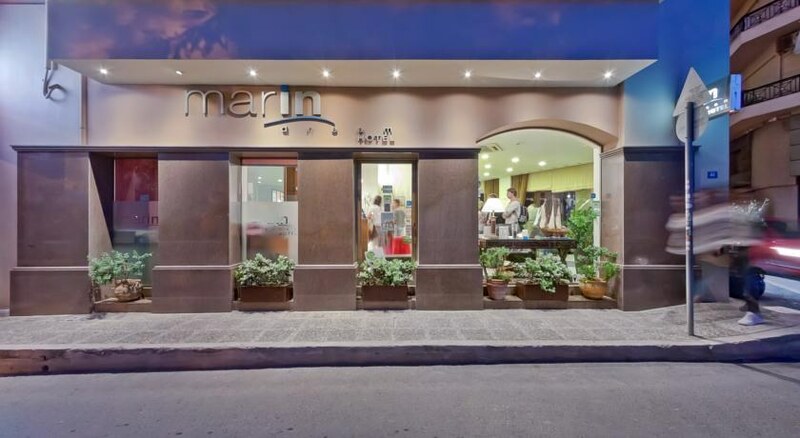 The hotel Marin Dream is central located and just 600 m from the Historical Museum, 50 m from the bus station and 800 m from the Harbour away. 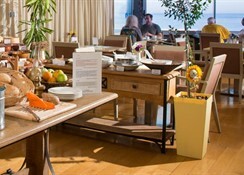 The hotel facilities includes reception, internet corner, fax service, restaurant and bar. 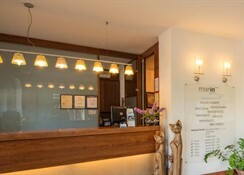 The rooms are equipped with private bathroom, A/C (with extra charge), TV, telephone, safe and Mini bar (with extra charge), radio and internet access. 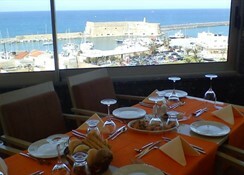 Address: Doukos Mpofor 12, 71202 Heraklion, Crete, Greece.